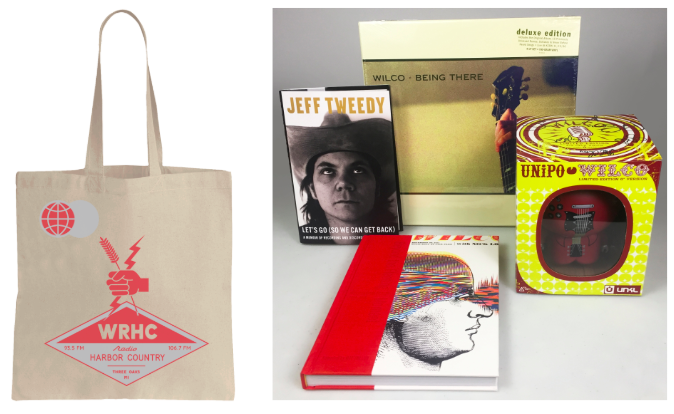 In exchange for a tax-deductible donation of $30 for a single membership or $40 for a family/household membership, you will get the new WRHC tote bag designed by Sonnenzimmer, along with an incredible LP, CD, book or gift certificate as a bonus prize FREE with your pledge! Our GRAND PRIZES are some autographed items from Wilco and Jeff Tweedy that you can get in the running for with a pledge of $50 or more. Go here to see all of the prize options for your donation to the station. Thanks so much for you support, we couldn’t do this without you! You can listen to songs from the prizes here on this Spotify playlist as well!